The Raspberry Pi is a mini computer, which is very cheap and only costs about 40 euros. 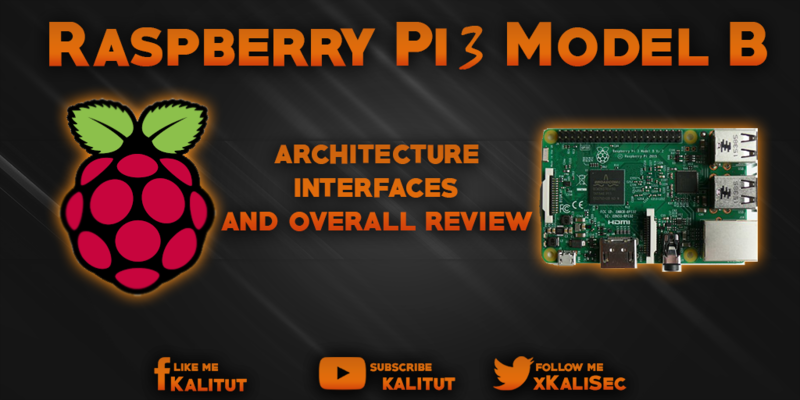 The model "Raspberry Pi 3 B" is a continuous development of its predecessor model "Raspberry Pi 2 B". The Raspberry Pi 3 includes a 1.2GHz 1.2GHz 1.2GHz quad-core processor and 1GB of SDRAM memory. Raspberry Pi is a mini computer, which is very cheap and only costs about 40 euros. The model "Raspberry Pi 3 B" is a continuous development of its predecessor model "Raspberry Pi 2 B". Raspberry Pi 3 includes a 1.2GHz 1.2GHz 1.2GHz quad-core processor and 1GB of SDRAM memory. Compared to its predecessor, the dimensions of the board (86 x 56 x 20 cm), the location of the interfaces and the wiring of the GPIO pins have remained the same. Only the two status LEDs have changed their position, which is why they are no longer visible on one or the other housing. Instead of the SD card slot with spring mechanism has entered a simple slot, where the MicroSD card just purely in. Overall, this means that you can continue to use both housing and extensions in the rule. The peculiarities of Raspberry Pi 3 is that WLANs are onboard according to IEEE 802.11 b / g / n and Bluetooth Low Energy and do not need to be retrofitted with external USB adapters. The special feature of Raspberry Pi 3 is that IEEE 802.11 b / g / n WLANs in the 2.4 GHz range with 150 MBit / s and Bluetooth low power are onboard and do not need to be retrofitted with external USB adapters. This means you do not need to buy the required components. So it will be easier to experiment with it. You have everything in one and do not have to hope that the additional purchased components work somehow. In the past, there have always been difficulties with hardware detection or driver problems. Driver issues are ruled out because the Broadcom BCM43143 WLAN chip on the Raspberry Pi 3 B is identical to the official Raspberry Pi WLAN adapter. In addition, the WLAN chip is not connected to the internal USB, but on the SDIO bus and thus independent of the USB. That should relieve the USB in many applications. However, the Wi-Fi adapter of Raspberry Pi 3 comes only at about 11 MBit / s. And yet, the effective bandwidth should be higher than with an external wireless adapter. Since Raspbian Jessie on 2016-05-10 exists in the taskbar of the desktop environment LXDE a graphical tool for managing the internal or an external Bluetooth component. This allows you to select the desired device and establish a Bluetooth connection. However, WLAN and Bluetooth onboard also means that one should rather keep away from metal housings because this greatly limits the range of the radio signals. So if you want to use Raspberry Pi 3 B with WLAN or Bluetooth, then it should already be a plastic case. Raspberry Pi 3 is advertised with its 64-bit support. This is normal for modern CPUs today. However, 64 bits on the hardware side must also be supported by the operating system and the software. And this is exactly where the wheat is separated from the chaff. A program must be designed explicitly for 64 bits. 64 bit is not used by many programs and depends strongly on the requirements. In addition, 64 bits can be more of a curse than a blessing. 64 bits also use twice as much RAM as the same program in 32 bits, because the address values are twice as wide and thus more data has to be transferred. Whether the porting of the kernel and the programs comes so fast may be doubted. Until then, Raspberry Pi 3 enjoys at least 40% better performance. The ARMv8 architecture includes Cortex-A53 cores, which are faster than the old Cortex-A7 cores of the Raspberry Pi 2 B at the same clock rate. However, only new software benefits from the 64-bit capabilities of the ARMv8 architecture. An ARMv8 firmware is intended for Raspbian later. However, it can be assumed that with slightly more power consumption, Raspberry Pi 3 B is about 80 percent faster than Raspberry Pi 2 B. For Raspberry Pi 3 B to boot with a Raspbian Jessie you need a kernel or firmware included in Raspbian Jessie from 2016-02-06. From Raspbian Jessie from 2016-02-26 also the internal WLAN and Bluetooth is recognized and supported. From the kernel 4.1.18-v7 + Raspberry Pi 3 B is supported. If you have an older kernel version, then the CPU of the Raspberry Pi 3 B is not recognized. That is, the system does not boot. So if you want to start a Raspberry Pi 3 B, you have to update the firmware or the kernel with a predecessor model.